this problem is fixed in our latest Wisej-release (1.5.23). The fix will be published soon but I don’t have a estimated date. If you have several companies stopped, you can try to use some previous version of Wisej. 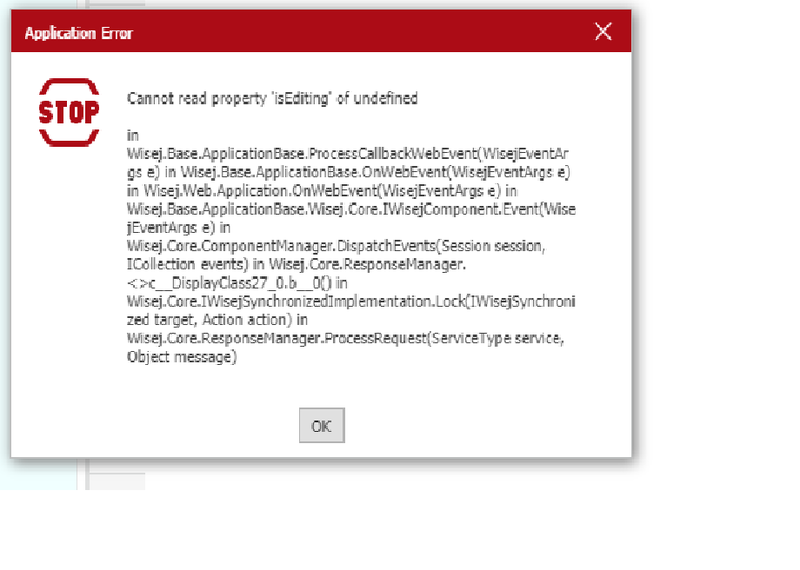 As you can confirm at Support => Current Issues this is a known issue logged as #1578 DataGridView Application Error “isEditing”. It’s fixed and will be on our next public build. ok but we have some companies stopped by this error; how do can back to a previous release ? only until you release the update.